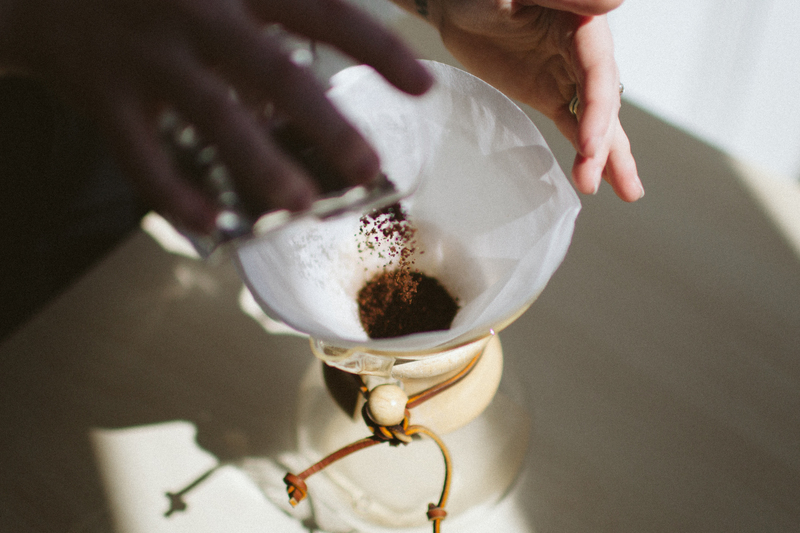 Not only is the Chemex easy on the eyes, it also produces a delicious cup. This iconic brew method was designed in 1941 and has made appearances in the MOMA design collection, many countertops across the world, and the hit sitcom Friends. 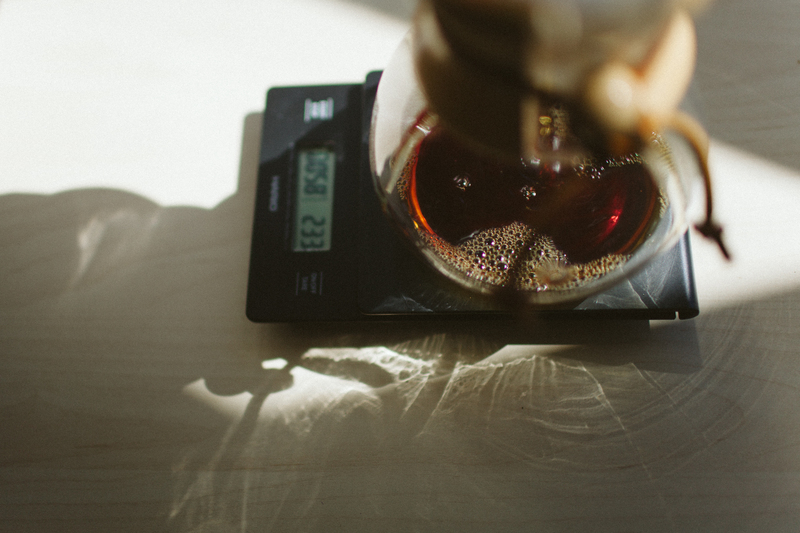 What sets the Chemex apart is its delicate, tea-like flavor. 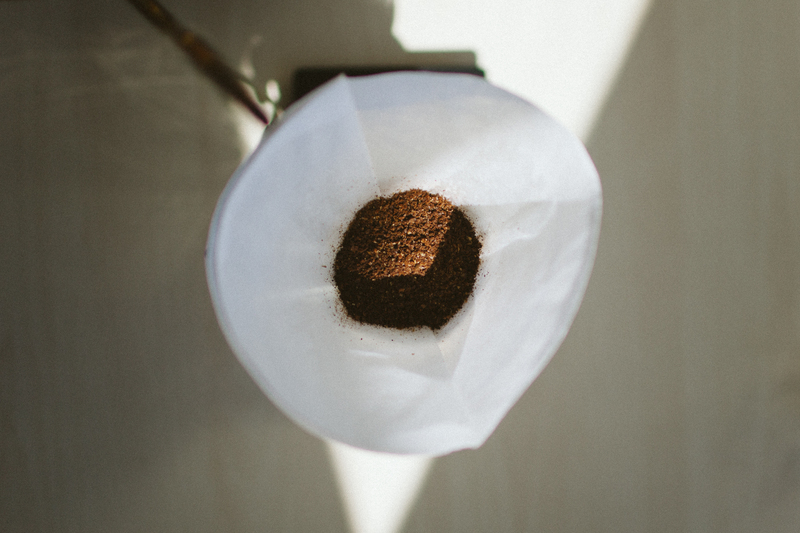 Chemex filters are folded into four layers, to start brewing open up the filter so that three layers are facing the spout and one layer is facing the back. This should create a conical shape that sits flush with the walls. Next weigh out 24 grams of coffee. Since the filter used is slightly thicker than other pour over methods the grind of the coffee is going to be more on the side of coarsely ground sea salt. 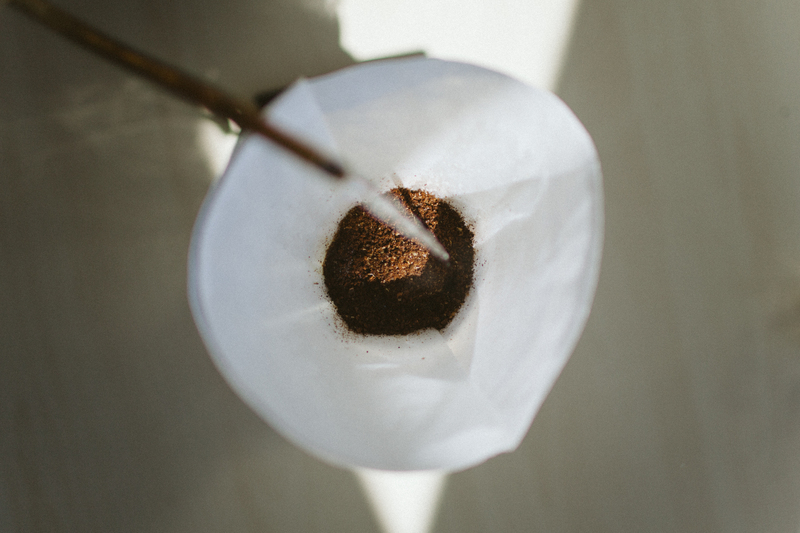 Once your filter is properly opened and placed in the Chemex pour hot water over it; this rinses out the paper taste and also preheats the vessel. After pouring out the water dump the grounds into the filter and set the Chemex on a scale. Zero it out and you are ready to get pouring! 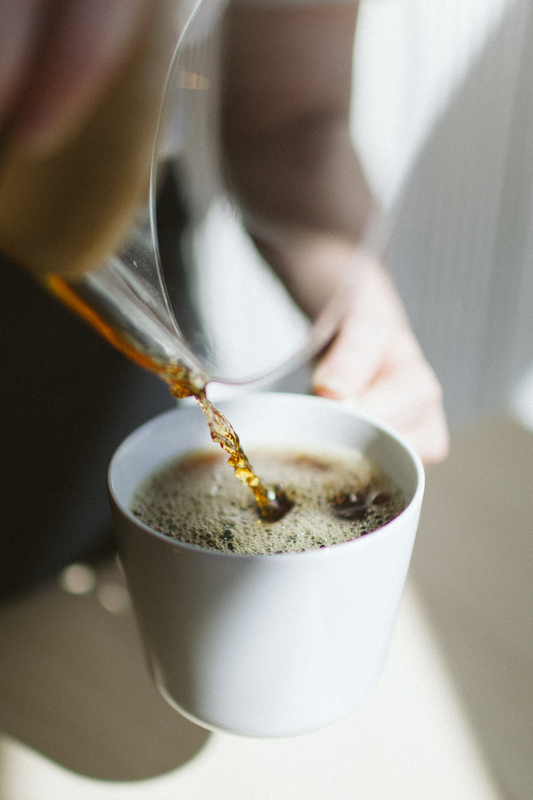 Start by using just enough water to saturate the coffee, about 50 grams if you are using the above measurements, and let it set for about 30-45 seconds. This is called the bloom. Blooming allows the grounds to release CO2 which is where most of the flavors found in coffee come from. It is also a good indicator of freshness. The longer the beans sit, the more CO2 is released naturally, so stale beans won’t release much gas. 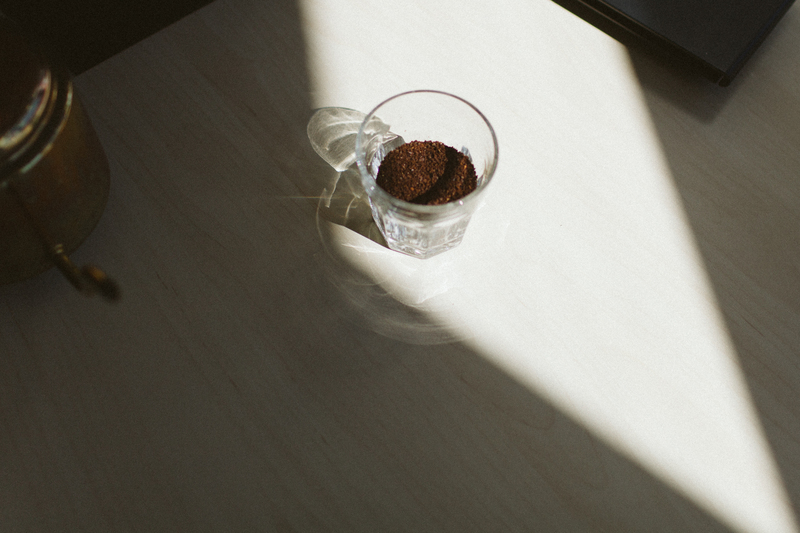 The bigger the bloom, the more fresh and flavorful your cup is going to be. After allowing your coffee to bloom start to pour. For the Chemex you want to pour in a circular motion over the grounds until the slurry has risen about half way up the cone. Allow the water to drain through the grounds almost completely before adding more. Whenever you are ready to add more water start pouring in the center and spiral out, taking care not to pour directly onto the paper. The trick is to time your pouring so you that finish around the two and a half minute mark resulting in a three minute total brew time. Remove the filter, give your coffee a good swirl, and you are ready to serve! Pro Tip: you know your pour technique and grind size is on point if the grounds are stuck to the filter walls after all the water has drained out. If all the grounds have fallen to the middle try pouring in a smaller spiral away from the walls or going slightly finer with your grind.